In December in the Myrtle Beach area, the weather turns cooler and the days are shorter. 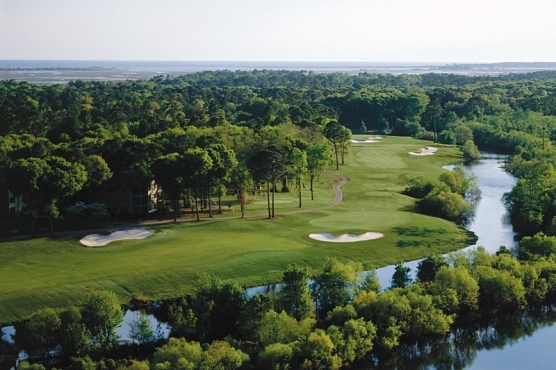 A Myrtle Beach golf package is still popular, but once the sun goes down, what are you to do? That’s a very simple answer – everything! December in Myrtle Beach is full of local events, mostly holiday related. Here we will give you some of the best holiday festivities that you don’t want to miss during your Myrtle Beach golf package. Of course, Myrtle Beach is known for the world class shopping. In December, there are plenty of shops that are offering great deals just in time for the holiday season. Surprise your spouse or the family with gifts that you bought when you were done with your round of golf. Now, shopping won’t fill all your time while you are off the links, and you can only eat so much, so what else is there to do? Plenty! One of the highlights of the holiday season in Myrtle Beach is the Christmas festivities at Brookgreen Gardens. They have a special event in the month of December that is called Nights of a thousand candles. It is truly a remarkable experience. Brookgreen Gardens come to life amid the soft glow of more than 5,500 hand-lit candles everyday from 3 in the afternoon through the evening. Of course this takes place in the late afternoon and evening when the sun goes down – after all it is called “Nights of a Thousand Candles”. You can walk around the park and get a cup of hot apple cider, listen to the Carole's singing carols and listen to the hand bells ringing – it’s the perfect holiday function that will get you ready for Christmas. Each night at 5:45, the 80 foot Christmas tree is lighted with over 70,000 lights – be sure you don’t miss that as well. All along the Grand Strand there are a number of Christmas tree lightings, parades and even some Tour of Homes that you can check out. One of the best parades is the North Myrtle Beach Christmas parade that is on the first Saturday of December – and this one starts around 5:30pm – one of the only night parades in the area. The floats are decorated and lighted and Christmas music is playing while candy is thrown to the crowd. If you haven’t seen a parade at night, you need to experience it at least once! You’ll want to return year after year…..
Come to Myrtle Beach in December for your golf package and enjoy all the festivities that the Grand Strand has to offer. You’ll get the best that Myrtle Beach has to offer: golf, shopping, holiday festivities and best of all for a great off-season price.